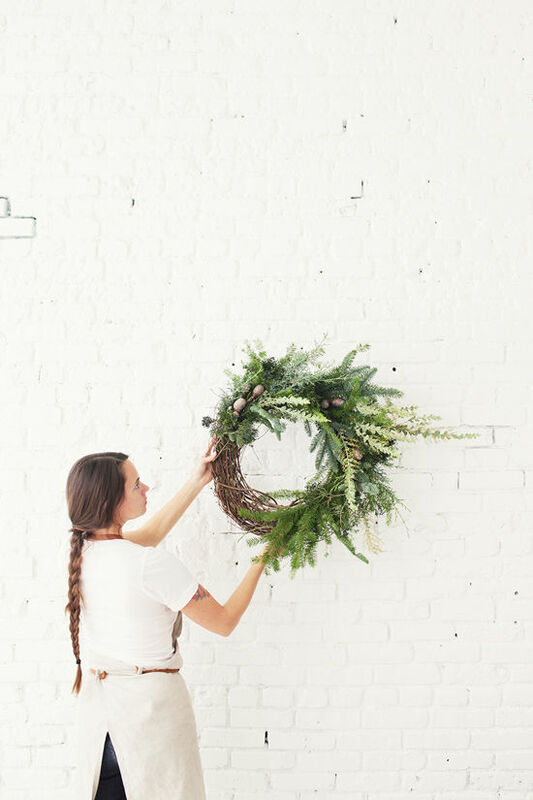 Here is a very simple and fun wreath to make. • really any evergreen will do! Start by creating your outer edges and working in towards your center. 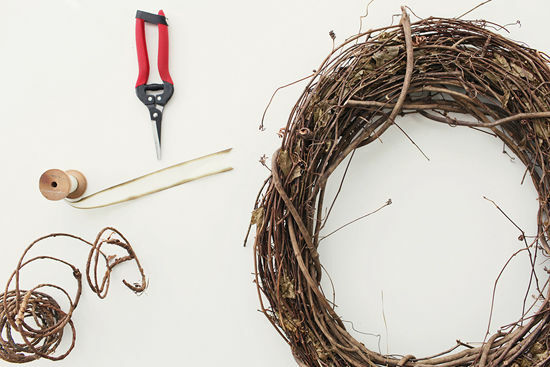 All you have to do is cut the pieces of green and tuck the into the grapevine base. The base is twisted up enough that it will hold the branches really well. No need for messing around with wire. I really like asymmetry and so really there is no wrong way here! I like to keep the greens long and let them reach out and be wild. It’s nice mix a bunch evergreens with different textures and shades of green. This creates such a wonderful winter forest palette. 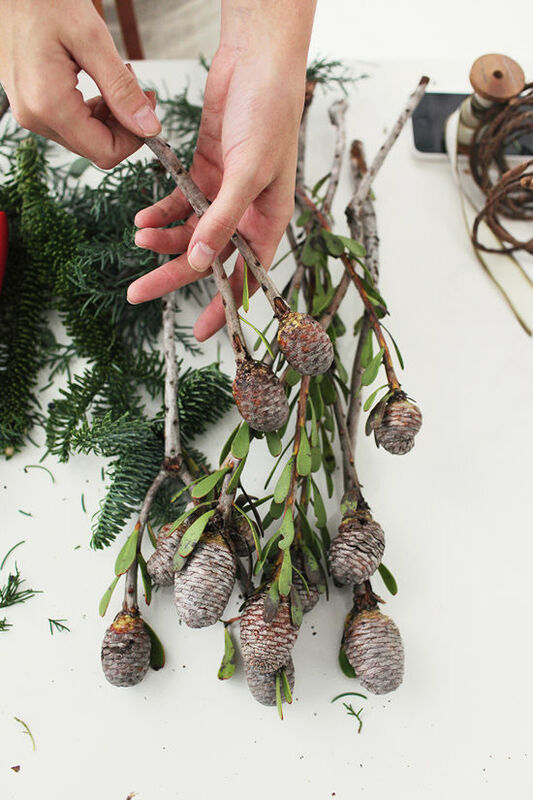 You can accent with ribbon or pine cones for an extra holiday burst. 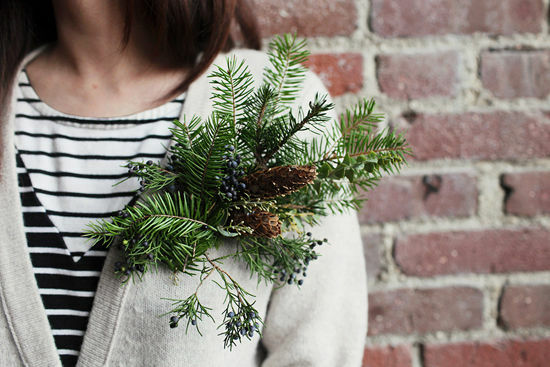 With the extra bits and clippings from the wreaths I made these holiday corsages. Any chance I get to adorn myself with florals, I take it! These corsages are basically petite posies tied with wire and accented with ribbon. 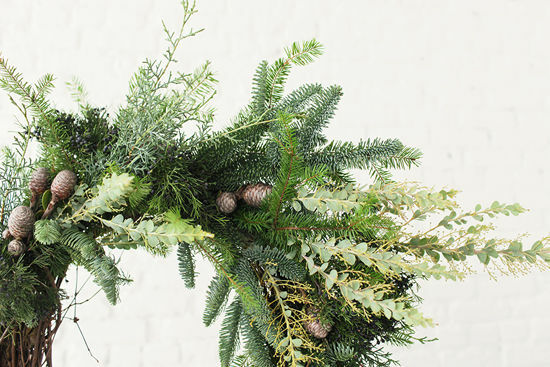 If you have flowers that you want to add to the evergreens feel free to tie those in there as well. 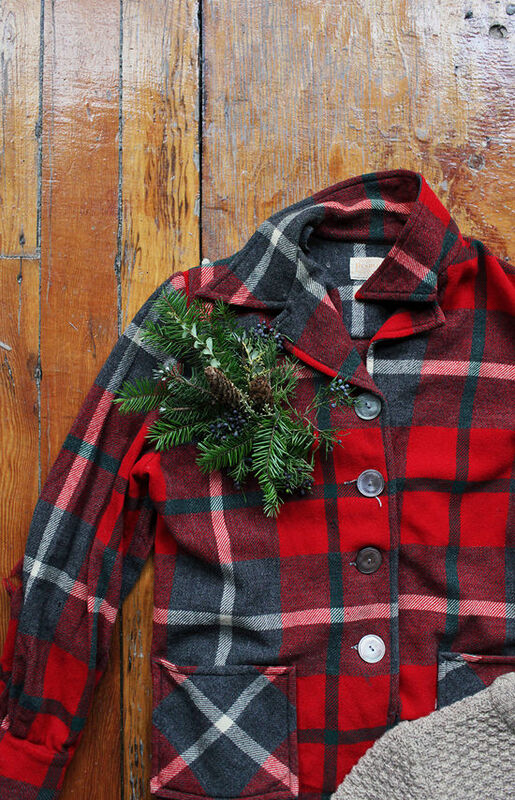 Pin them on and you have a beautiful fresh accent to your holiday look. Plus the scent is seriously amazing! 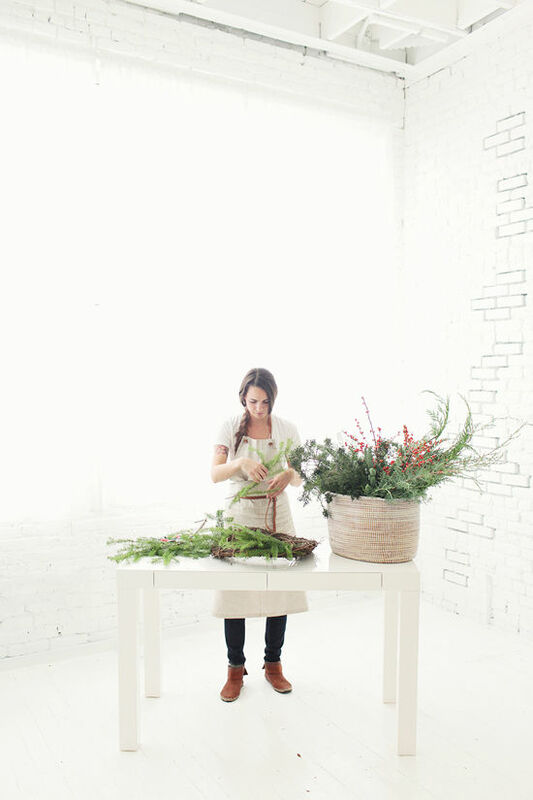 florals by: moon canyon design co. – see more floral posts here! 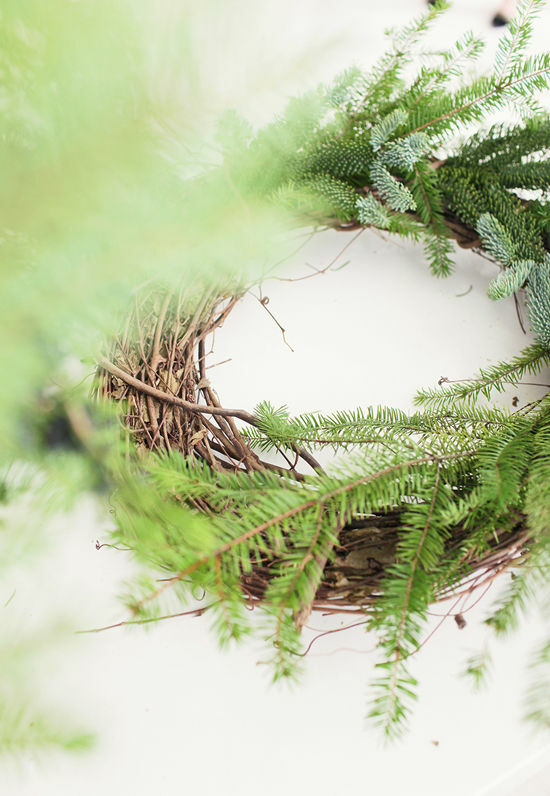 This is such a gorgeous wreath! I’ve been thinking of whipping one up and this is right up my alley. I bet it smells AMAZING! 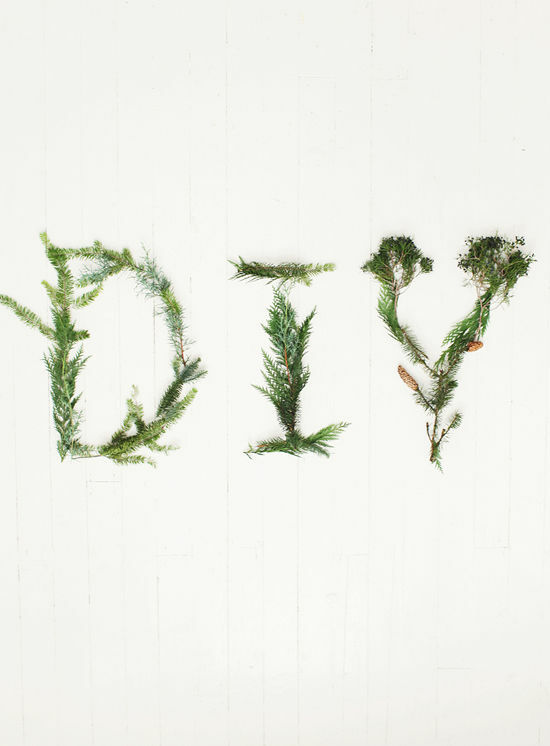 Where are common places you can find the materials for this–or is it as simple as exploring your backyard? This is stunning! And I have the same question as Ellen – where is a good place to get all of these materials? 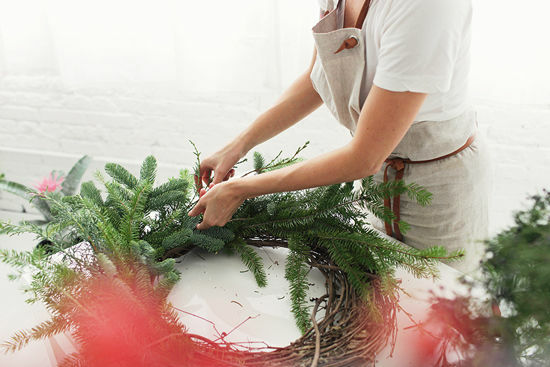 I love making wreaths at the holidays…the one branch looks like frasier fir, one of the best christmas trees! My favorite is the 5th picture. Very cool. I absolutely love the wreath and the corsages are great. what a good way to use your scraps. So pretty. Thanks for the tutorial! 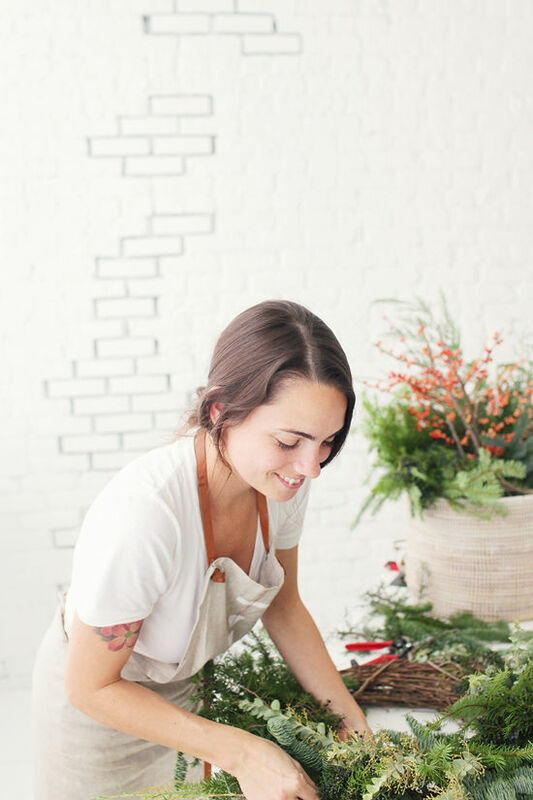 I am definitely making a few of my own wreaths this year! 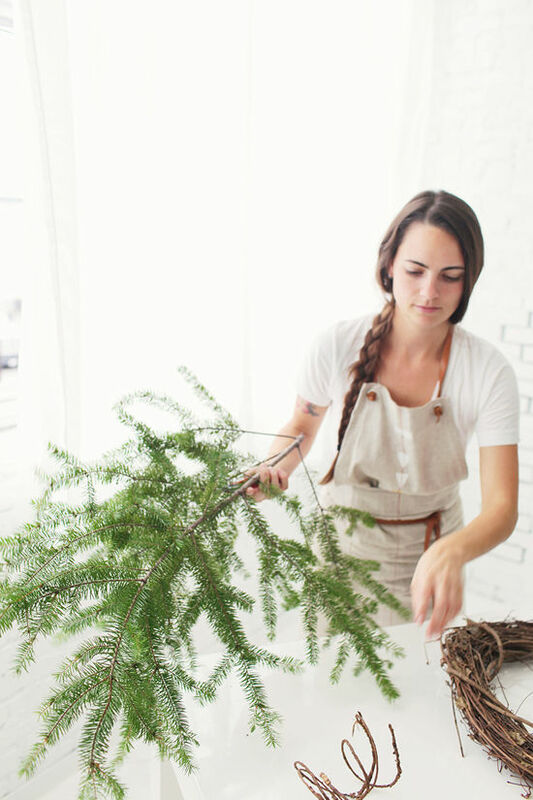 You can get evergreens at Home Depot, free. Once they start selling Christmas trees and cut off some of the limbs and discard those branches. Silly question, but – do you think these might be able to be saved and used again last year, assuming you don’t include flowers or anything not-yet-dried? Thanks! I read this paragraph fully about the difference of hottest and earlier technologies, it’s amazing article. 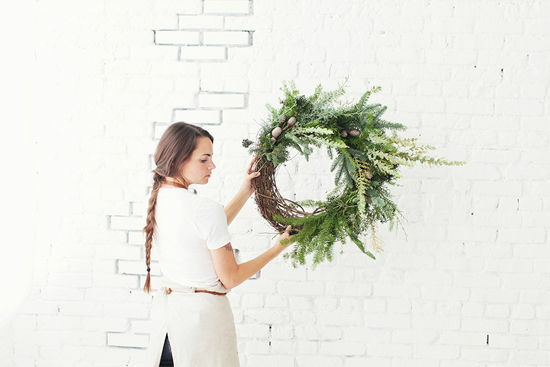 I love the wreath, and want to make one. Can you tell me what type of cones/seed pods you used? I don’t recognize them. Thank you. 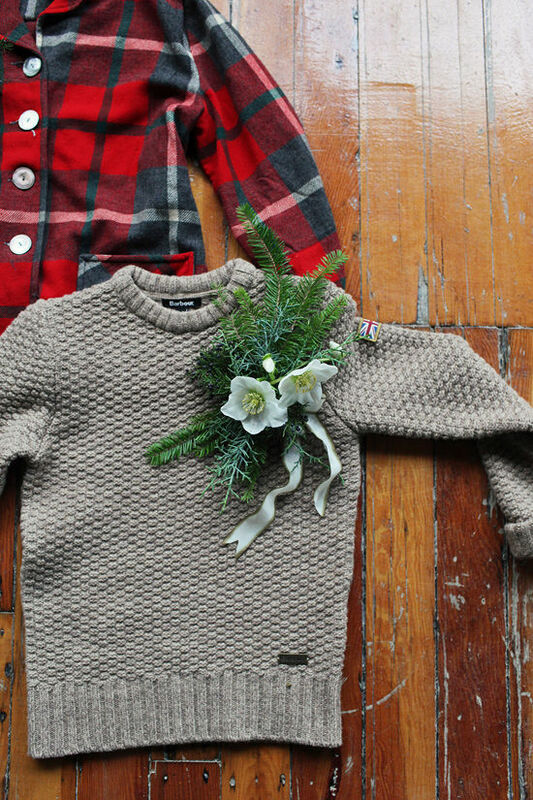 What are the brands of the sweater and Christmas pjs in the picture? They’re beautiful!! !